“With almost half of natural World Heritage Sites threatened by harmful industrial activities, this momentum should help encourage the wider financial community to follow the insurance industry’s leadership and commit to action,” WWF International Finance Lead, Margaret Kuhlow added. WWF became a supporting member of UNPSI at the end of 2017 following engagement by WWF Switzerland and WWF-UK Sustainable finance teams and the WWF-SIGHT team. This included a presentation by David Patterson at UNPSI Market Day in October 2017 and several meetings and demonstrations of the WWF-SIGHT tool. We discussed how insurers should in future systematically scan for overlap of natural World Heritage sites with extractives concessions using tools and analytics, such as demonstrated by GIS and ownership analysis conducted using SIGHT. WWF-Switzerland colleagues together with the WWF-SIGHT team will work with UNPSI and share lessons learnt from the World Heritage and extractive risk screening we have developed using WWF-SIGHT. This engagement has the aim to support the development of environmental risk screening tools for the insurance and finance sector. The Statement can be signed as a “signatory company” by insurance and reinsurance companies and intermediaries, and other companies that provide insurance and reinsurance products or services. It can also be signed as a “supporting institution” by insurance and reinsurance associations, institutes and initiatives; insurance regulatory and supervisory authorities; civil society organisations; academic institutions; and other institutions that work with the insurance industry. The latest list of signatories can be found on the project website. 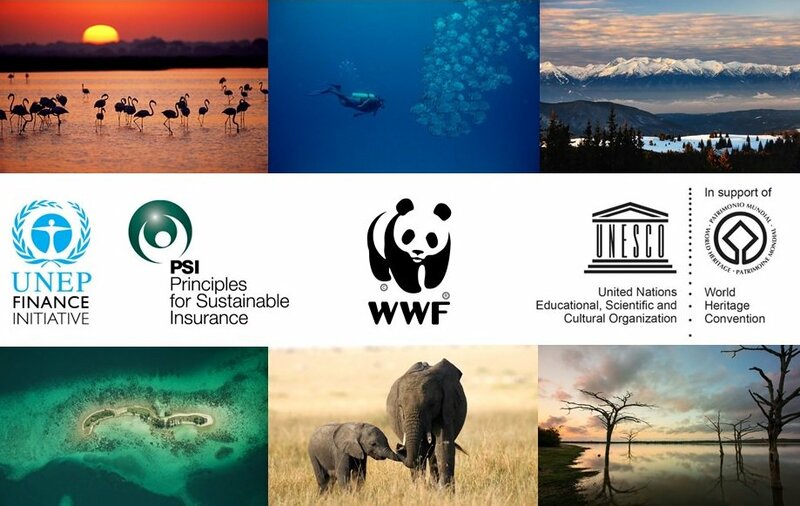 Organisations who would like to become a signatory should e-mail psi-world-heritage@unepfi.org.